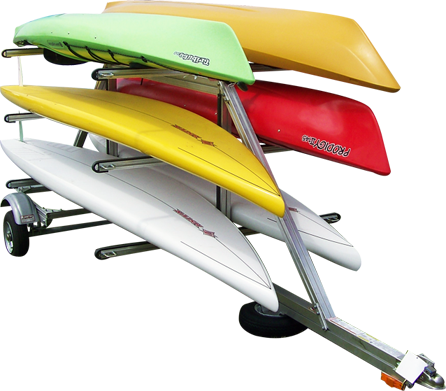 Aluminum Trailers - Trailex, Inc.
trailering solution, hand-made in the U.S.A.
READY FOR FUN. NEVER GET RUSTY. trailer, hand-made by Trailex in the USA. TOTALLY DRIVEN. BUILT TO LAST. you from the garage to the starting line faster. We’re taking this show on the road. Visit us at an event near you! Looking for something specific, but also close to you? Use our Locator! All of our product brochures are available for download in our library. In 1963, Alcoa Aluminum sponsored a CBS television show called “The Celebrity Game Show” and featured, in one of its ads, Trailex aluminum boat trailers. Back then, aluminum wasn’t well known except for producing foil wrap. Over 50 years later, Trailex makes many more products than just boat trailers. Star Extruded Shapes, Trailex’s parent company, produces the raw extrusion for the trailers, letting us make fast changes, get product on time and maintain quality. All Trailex products are made by hand, and proudly made in Ohio.